There’s only one thing I love more than beautiful jewellery, and that’s being able to get creative and make up my own creations. So, I went to the Swarovski Crystallized press day to check out which new pieces I’d be lusting after when the sun comes out again. 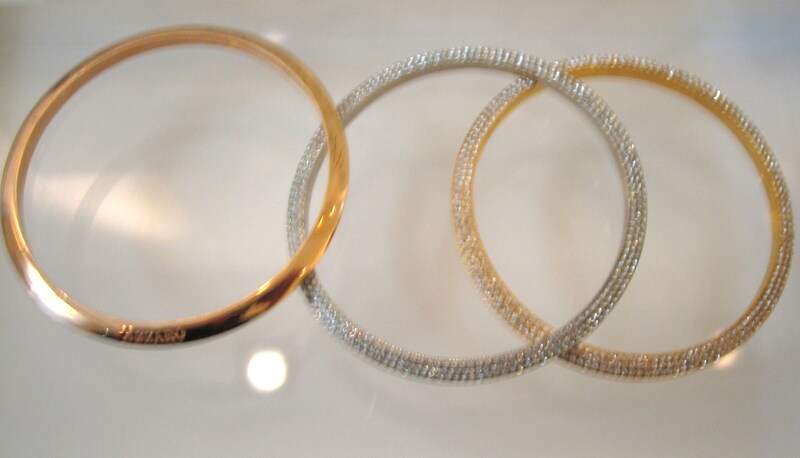 The Azzaro collection, designed by Vanessa Sewell, is full of bold, simple and sparkly pieces in silver and gold. 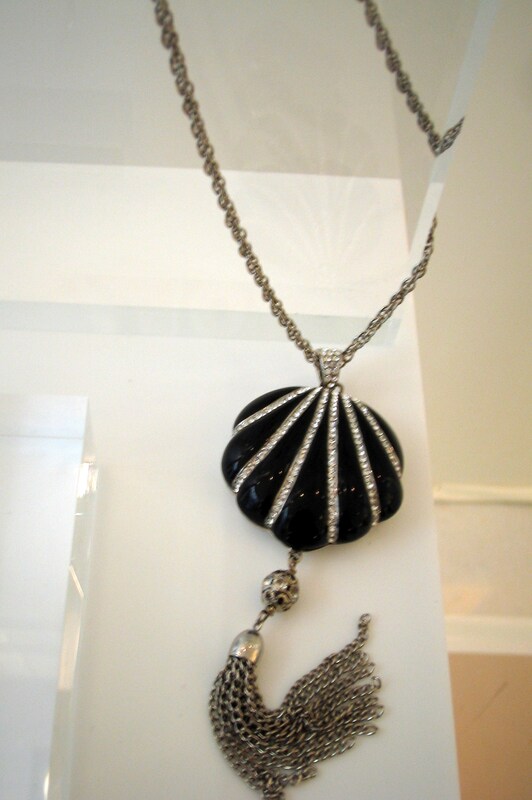 One of the main pieces is a vintage-style black and silver shell locket necklace with a chain tassel. It reminds me of something from Titanic and it would look amazing with a silk, drop-waist evening dress. My personal favourites from the Azzaro collection are a blingtastic crystal encrusted wave cuff and slim bangles with rows of tiny crystals. I was blown away by the new collection by French jewellery designer Philippe Ferrandis and would put every single piece on my wish list (mysterious benefactor, take note please). 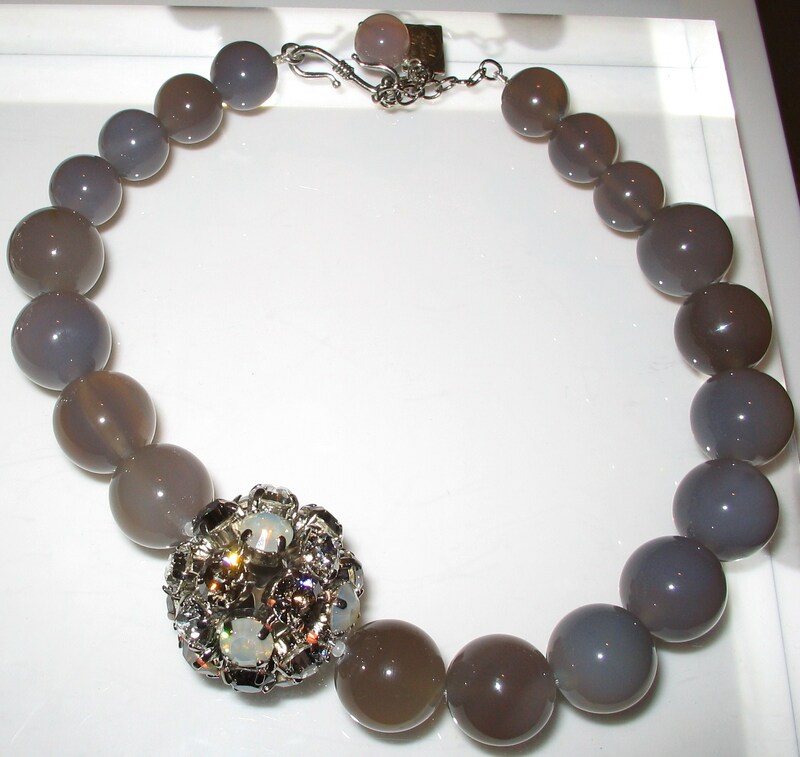 I’m not sure what most of the stones are, to be honest, so I’ll let you judge the pictures for yourself…. 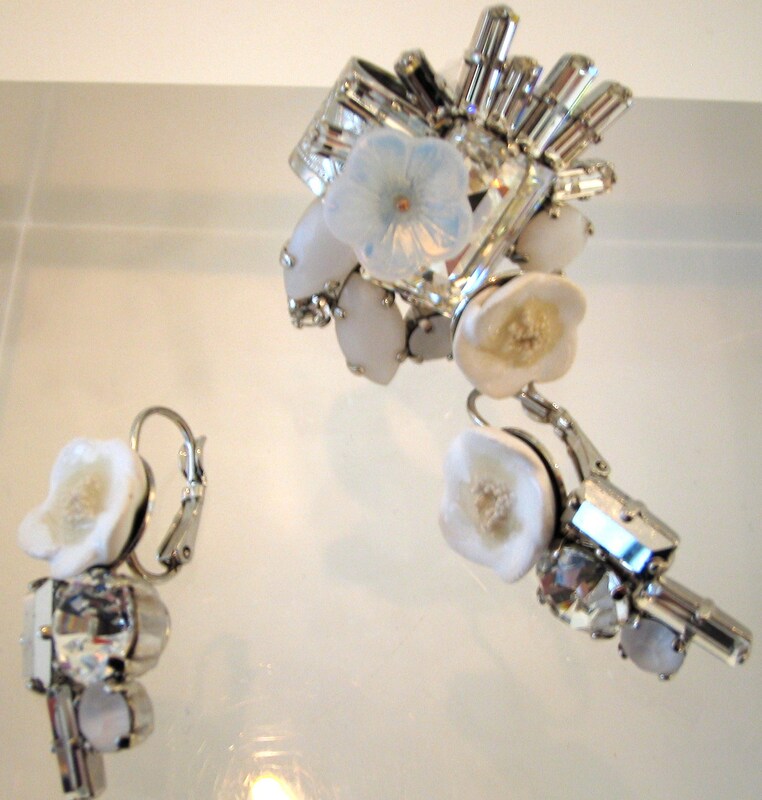 I love the contrast between the iridescent white flower and the spiky crystals on the ring and earrings. They look quite Japanese and futuristic – perfect for the winter snow queen look. 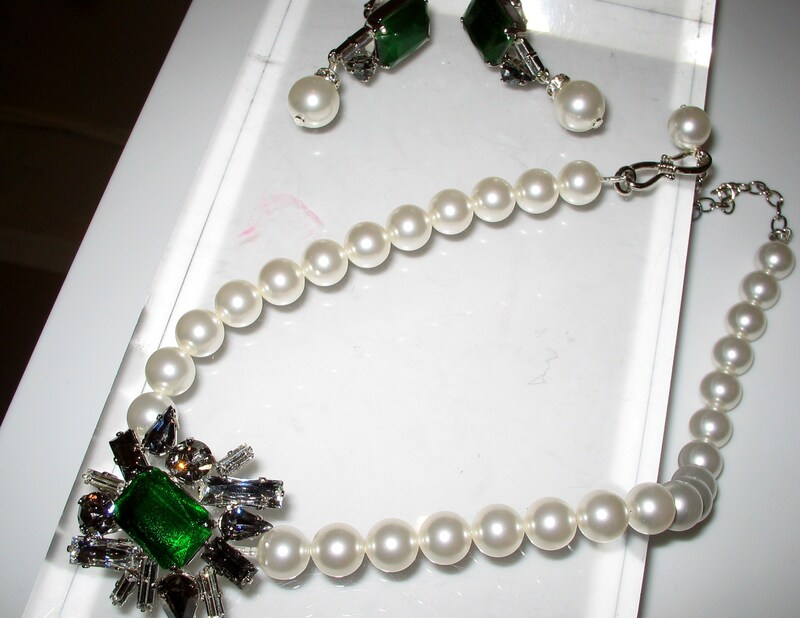 The pearl and emerald necklace and earrings have a vintage, Jazz Age feel and are priced between around £250 and £500. The new ready-to-wear collection is inspired by the fresh, clear light of a Scandinavian summer. Pieces incorporate oval spheres and interchangeable pendants in subtle, neutral colours. The silk cord necklaces reflect the beach element and they will go perfectly with next season’s nudes. The mainline collection featured some pretty affordable pearls for under £20 and everyone was fawning over the stretchy crystal bracelets that you can stack up, costing just £10! We were also treated to a sneak peak at the exclusive Daisy Lowe collection that she designed with the Creative Director. The pieces are typical Daisy with black, green and silver stars and moons – flirty but a little bit dark and mystical. All collections are available from January at the Swarovski Crystallized store. Swarovski Crystallized 25 Great Marlborough Street, London, W1F 7HU.